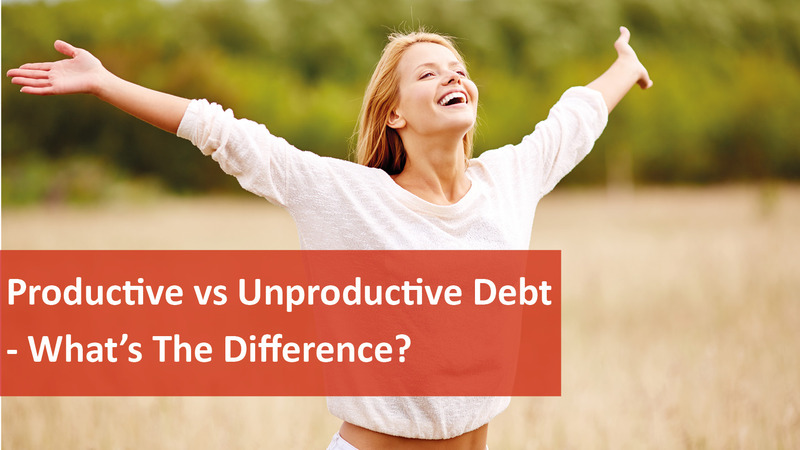 Do you know the difference between productive and unproductive debt? A great number of people tend to have too much unproductive debt, and not enough debt that actually works for them productively to increase their wealth over time. Let’s take a look at a scenario – say you have excess funds each month and are considering paying off your home loan because of this. Now, this person is also an investor, but believed it would be better to pay down their home loan before purchasing another investment property as they were reasonably happy with their portfolio for the time being. While everyone’s circumstances and goals are different, in this example there is a better way for them to use those extra monthly funds. The thing is if they started paying off their home loan, they would be using after-tax dollars to do so – so they’d already lost about 37 cents in every dollar. Their plan was to pay it off in 10 years but generally speaking they could achieve the same goal without scrimping and saving every cent of their income to pay off the debt. You see, a loan on your home is both after tax and unproductive debt because it’s not tax-deductible in any way, whereas an investment loan is the complete opposite. An investment loan is tax-deductible and essentially you’re also using both pre-tax and other people’s money – that is the bank’s – to create wealth, so therefore it is also productive debt. So, in this scenario, it would be better for that investor to buy another investment-grade property in a capital city rather than pay off their home loan to achieve their twin objectives. They can certainly afford to hold that additional property for the long-term because they currently have excess cash flow every month anyway. By buying another investment property, and continuing to pay interest-only on their home loan, they will be reducing the repayments on their unproductive debt and increasing the taxation benefits of the productive debt on their new investment. By the age of 55, so in 11 years’ time, this investor should have achieved enough capital growth in that new investment property to help to significantly pay down their home loan – if they at that time decide it is better to sell the investment grade property, all without using a cent out of their own back pocket. In the meantime, if they continue to have excess cash flow every month, they could consider buying another investment property. This example is why all investors need to better understand the difference between productive and unproductive debt so they can ensure they’re making the most of the former rather than the latter. That way, they can work steadily towards financial freedom, without ever having to access their after-tax savings to do so. Or call us to see who we would recommend for your mortgage broker.